Hey there, lovelies. 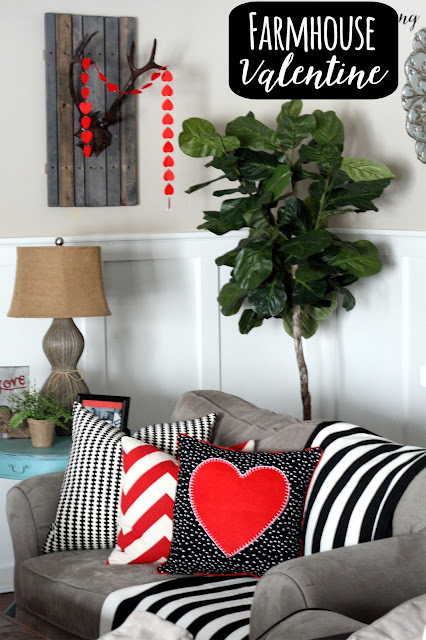 Valentine's Day is coming right up so I thought I'd share my Farmhouse Valentine's Day decor with you. How can Valentine's Day decor be Farmhouse style?? Start with using farmhouse decor that is not Valentine's specific... like arrows. So these cute wooden arrows my hubby made me that I can use in my everyday decor are also perfect for a farmhouse Valentine's mantel. The heart he made me behind the arrows is a good example of a true farmhouse piece of Valentine's Day decor. But really, it could be left out all year if these were your colors and you were into hearts. Hearts aren't really my thing except for on Valentine's Day. 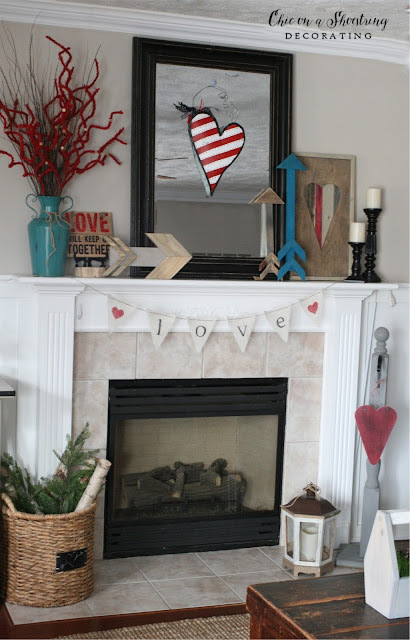 The burlap LOVE banner across the front of my mantel gives a little more Farmhouse flare. The red spirals in the teal vase are actually from my Christmas tree! (shhh, don't tell) But really, they work perfectly as Valentine's Day decor. 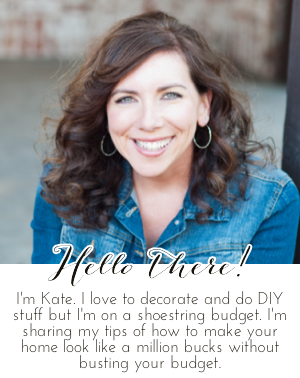 If you hang around my blog you might know that I have an intense love of throw pillows. 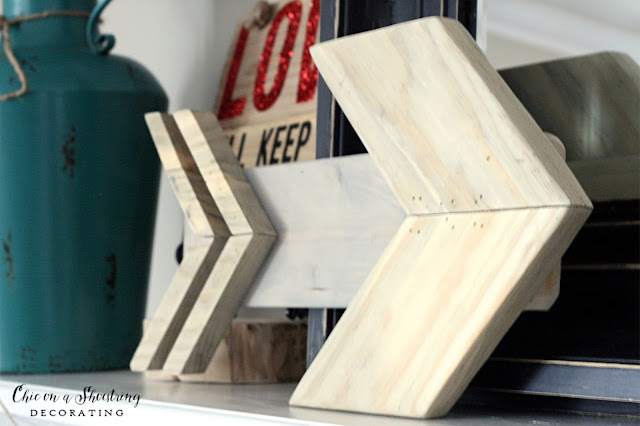 They are my most favorite decorative item... such an easy way to change up a room. I have a throw pillow cover for every season and sometimes multiple kinds for the same season. 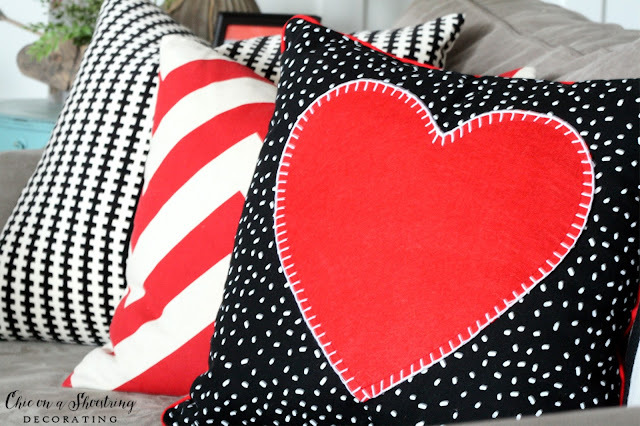 I already had the black and white (ikea) pillows and the red chevron pillows that I use at Christmas (shhh, again don't tell!!) ;) but they both work perfect for Valentine's Day too. 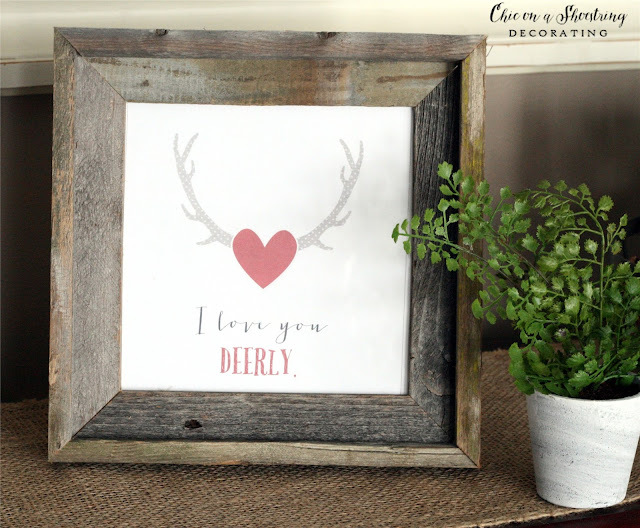 I like to use this lovely little reclaimed wood frame for printables and switch them out for the season. Putting a Valentine's Day printable in it turns it into instant Farmhouse Valentine's decor. This cute and free printable can be found here on Landeelu. So you see, pulling off a Farmhouse Valentine look isn't too tough. 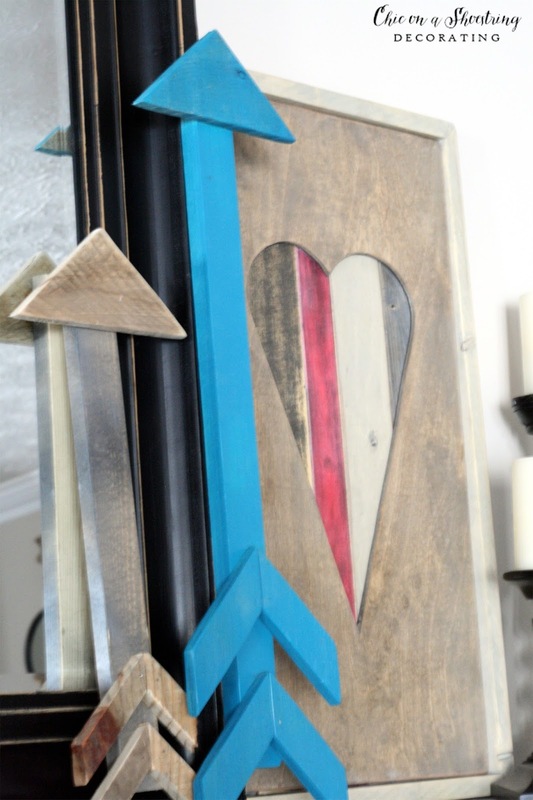 I just added some red accents that were mostly recycled from Christmas plus some wooden hearts and arrows. Easy Peasy! I hope you have a wonderful Valentine's Day, lovelies! 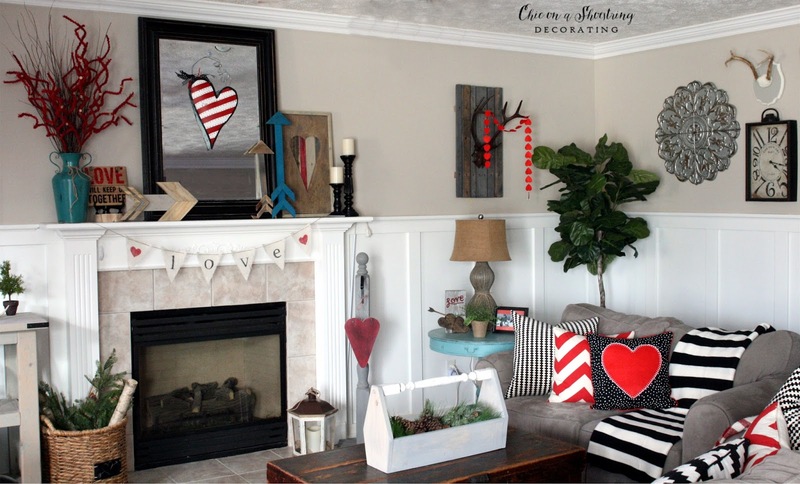 I love your throw pillows and your neutral furniture, that allows you to play with color. You have created a very charming room. I love the pillow! That is so fun and festive! I realized this last weekend that I don't have a lot of Valentines Day decorations. I definitely need to fix this for next year! Thanks for the fun ideas.